Superior quality, performance, and durability. 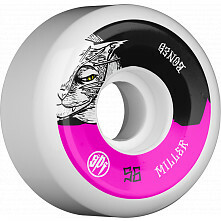 BONES Skatepark Formula Skateboard Wheels (BONES SPF) have a reputation for being the best wheel for skateparks that money can buy. BONES SPF skateboard wheels are the go-to wheel for many of the top bowl and vert skateboarders around the world because of their high rebound, responsive grip, and fast roll on smooth surfaces. 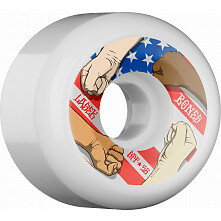 Browse our selection of BONES SPF skateboard wheels; they're available in two durometers and a variety of shapes and sizes.